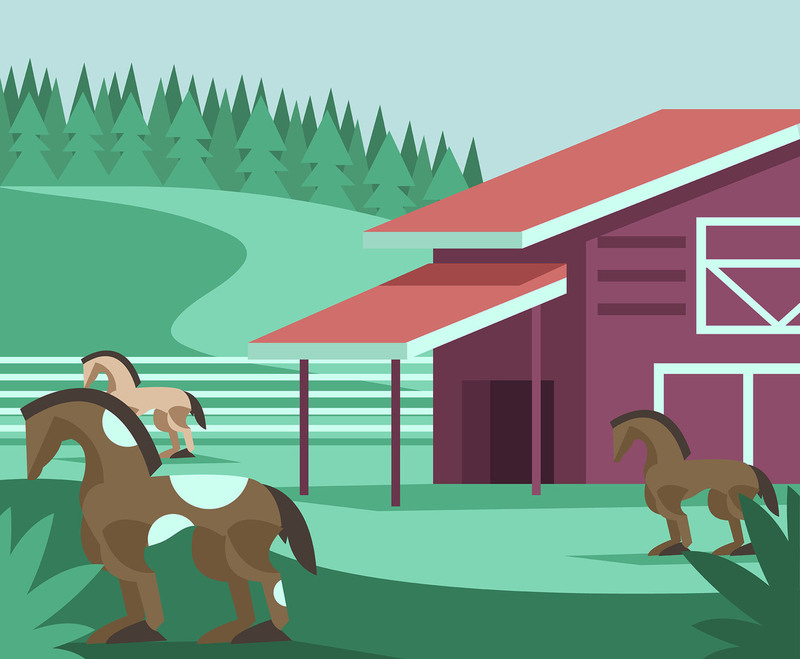 This illustration depicts a ranch with a team of sorrel horses in the barn's yard. I hope you can benefit from this work. This file was created by freevector.com and is distributed under the Our Standard License license. Disclaimer: All original artworks are the property of FreeVector.com. Any other artwork or logos are property and trademarks of their respective owners. © 2004-2019. All Rights Reserved. Join our weekly newsletter and be the first to know about upcoming contests, freebies & exclusive discounts! You must credit the author. Learn how to do it. Join Premium for Unlimited Premium Downloads and More!